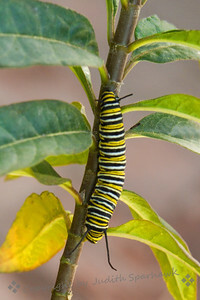 This caterpillar was found on the milkweed plants in my patio. I was very excited to find several of them. 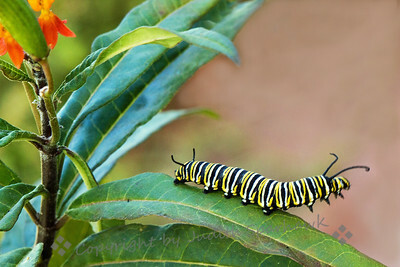 This Monarch caterpillar was on the milkweed plant in my patio. 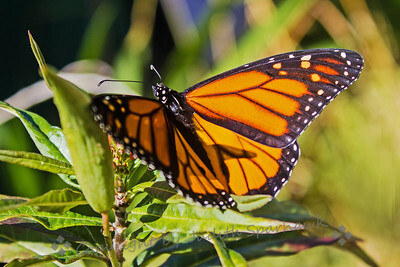 I had planted the plants 3 years ago, hoping to attract the Monarchs and host their young. To my knowledge these are the first "babies" I have had here. Very excited, and hope the birds don't get them! 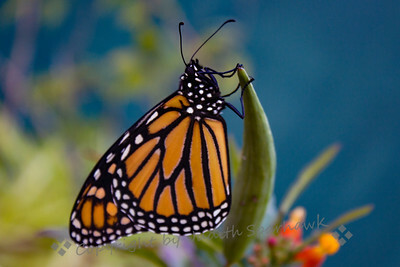 This is another view of the Monarch larvae I'm hosting in my patio. Fingers crossed that they succeed in growing up and flying away! 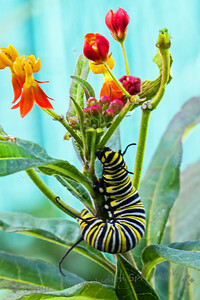 This image shows one Monarch pupae and one caterpillar preparing to pupate. These are from the 5 caterpillars I found on my milkweed plants. They have been kept safe in a net enclosure intended for this purpose. 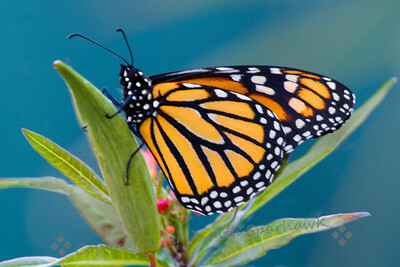 I hope soon to have 5 Monarch butterflies emerge into the world. 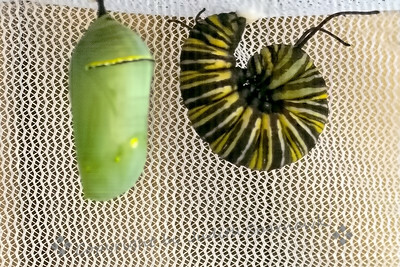 This image is of a Monarch Butterfly pupae, having gone from bright green to quite translucent, showing the butterfly within. 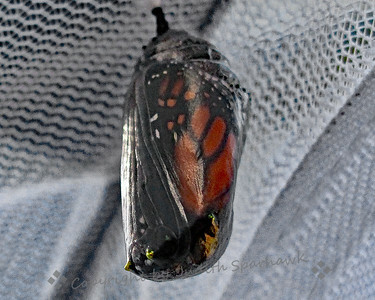 After photographing this pupae, within 15 minutes the butterfly emerged. This Monarch butterfly recently emerged from the pupae, and after resting and drying its wings, fluttered to this milkweed plant on which it had fed as a caterpillar. I opened the net enclosure so it could fly. 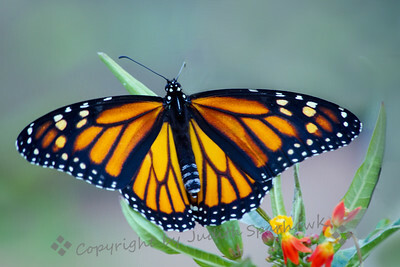 This Monarch butterfly was the second one to emerge today, 3 more to go in the near future. After it emerged and dried, it was on this seed pod of a milkweed plant, and stayed for a long time. 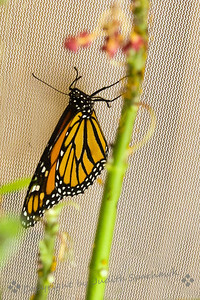 This is a view of my last Monarch Butterfly after I transferred it out of the net enclosure where it lived from caterpillar to butterfly. I put it by this milkweed pod and it grabbed on and faced the real world. Later I looked out and it was gone. 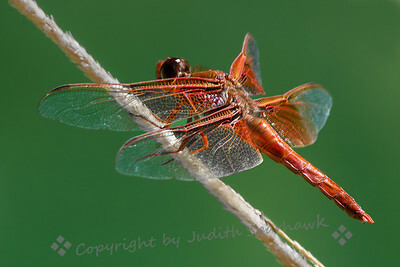 Out birding at San Jacinto Wildlife area today, mating dragonflies were everywhere. 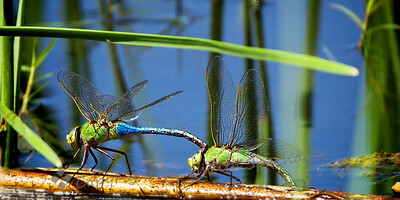 Most of them didn't want to share this private moment, so these Green Darners were the only ones I managed to photograph. 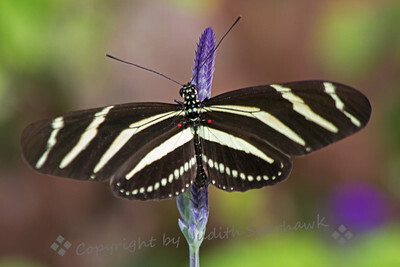 This Zebra Heliconian was sitting on a spear of lavender at the butterfly exhibit at the Living Desert in Palm Desert, CA. 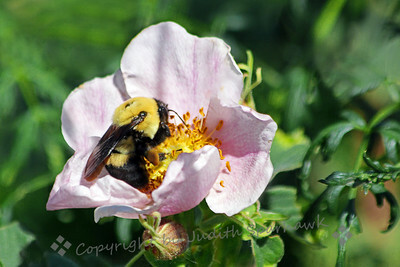 Bumble Bee in the Wild Rose ~ This was a very big and fuzzy bumblebee. I think it is a Common Eastern Bumblebee, based on my field guide. 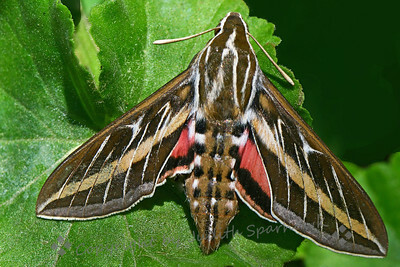 It was photographed in Colorado, and it definitely looks different from my California bees. 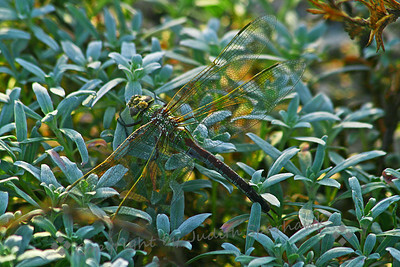 Dragonfly at Bolsa Chica ~ While birding at Bolsa Chica Ecological Reserve in Orange County, I saw this dragonfly. 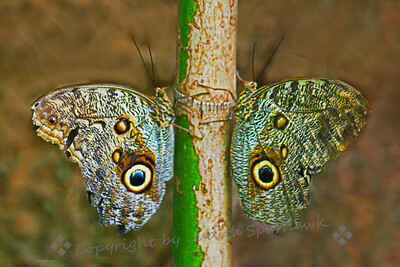 Seen at larger sizes, the intricate patterns of its wings are very beautiful. I believe this is a Common Green Darner, adult male. White Line Sphynx Moth ~ This moth visited my patio one morning, so of course I had to grab my camera. Photographed at the ponds at Whitewater Canyon Preserve in southern California. 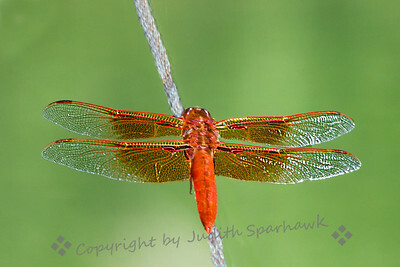 This pretty dragonfly was patrolling over the ponds at Whitewater Canyon Preserve, and finally rested long enough for me to take a few shots of it. 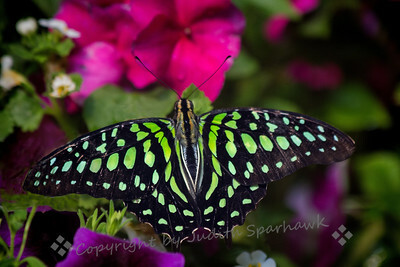 This beautiful butterfly was photographed at the butterfly exhibit at San Diego Safari Park. 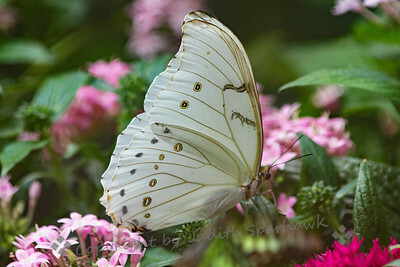 This beautiful white butterfly was photographed in the butterfly display at San Diego Safari Park. 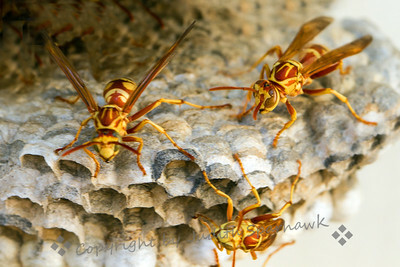 This shot shows three of about 20 wasps that were working around the nest while I was photographing them.